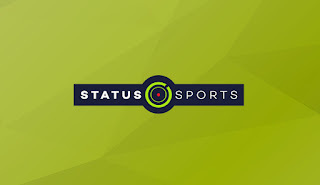 Status Sports specialises in supplying corporate hospitality for some of the UK’s most exclusive corporate hospitality events from Henley Regatta to the Emirates FA Cup Final and Wimbledon Championships. Status Sports ensures VIP treatment for our clients in all 2016 – 2017 hospitality bookings. Our aim is to provide you with the best hospitality to ensure your corporate clients are entertained. Events such as Henley Regatta, the Emirates FA Cup Final and Wimbledon Championships. should only be experienced through the most exclusive seating and dining arrangements therefore debenture tickets in hospitality venues such as the Gatsby Club make a huge difference to a client’s Wimbledon Championships. experience. If you require debenture tickets for the Wimbledon Championships. or Vip seating for the Aegon Championships please contact us for these events and much more. Status Sports is not just about the Wimbledon Championships, the Emirates FA Cup Final or Henley Regatta, it’s also about ensuring that our clients experience VIP customer service from the initial contact to the time the event ends. We understand how precious your clients are to you, whether they are internal staff or potential partners. Status Sports ensures a VIP experience to all sporting events you wish to attend; including the Wimbledon Championships and the Emirates FA Cup Final. So whether you are a sporting fan or not, our aim is for you to thoroughly enjoy your day out when attending the Wimbledon Championships, the Aegon Championships, the Emirates FA Cup Final or the Open. Hospitality Tickets for Henley Royal Regatta, Football, Tennis, Rugby, Golf and more. Few sporting events can match the rich heritage and history of Henley Royal Regatta which was first held in 1839. Crews from all over the world take on the head-to-head knock out competition over the 1 mile, 550 yard River Thames Course. Hospitality Tickets for The Open Golf, Tennis, Football, Rugby and more. In July 2016, Royal Troon will welcome the world’s finest golfers to compete at the 145TH Open. Hospitality Tickets for Autumn InternationalsRugby, Tennis, Football, Golf and more. With the excitement of the Rugby World Cup now over for another 4 years, the Autumn International rugby matches will return in November 2016. Fans of the four home unions – England, Ireland, Scotland and Wales – will relish the opportunity to see their teams take on the southern hemisphere’s best teams.